One of the best, and most hidden perks, of the American Express Platinum ( any version ) charge card is the Platinum International Airline Program. It’s a perk I’ve written about before, but long story short: Amex offers its most valued customers, deeper discounts on premium international tickets. The International Airline Program has consistently offered great deals on flights ( my biggest savings for a client was over $2500 a ticket on flights to New Zealand); however, the biggest drawback was that you needed to phone in to pull rates or book. American Express International Airline quotes and booking can now be processed online via Chat. Note: the following airlines participate in the program, and there are few requirement that need to be satisfied ( namely US cardholders, cardholder booked on itinerary, origin/return to US or Canada, and Premium Economy or better ). 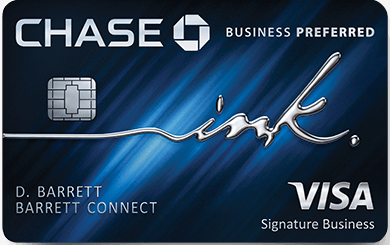 Centurion cardholders also get the $39 fee waived. Once you’re verified, it’s very straight forward. Commenter J asked why I was quoting United prices when they aren’t in the program. I had initially requested UA, AA, and BA – seeing the UA flights on Kayak as cheapest for those dates. The International Airline program prices were higher than I was seeing on Kayak and asked her to pull rates for United. the rate she pulled was nearly identical. I found that it takes a bit longer that using the phone, but I was able to multitask easier while she was pulling rates. Additionally, I’m often in places where hopping on a phone call just isn’t feasible or I don’t want to discuss account details, plans, etc in public – this feature provides a great alternative. As noted in this example, the Amex International Airline program isn’t always lower than other rates, but if you have the benefit, spending 15 mins double checking flight prices could ultimately save you a ton of cash, and worst case, ease your mind that you may have missed a bargain. 9 times out of 10, I’ve gotten lower rates than I’d ordinarily find through the airline or a consolidator ( amex travel included). Would’ve been more useful if you got a quote on flights that participate in the program. I think the program has some value, just not much for me. I rarely pay cash for business class or better tickets and the requirement that travel starts and ends in the US/Canada means that most great international fares don’t apply. I know that BA has a really awful business class themselves but does periodically offer decent business class sale prices. Any idea whether you could fly AA metal on a codeshare to London? That might be a happy medium.